In Group: 09h00 – 14h00. 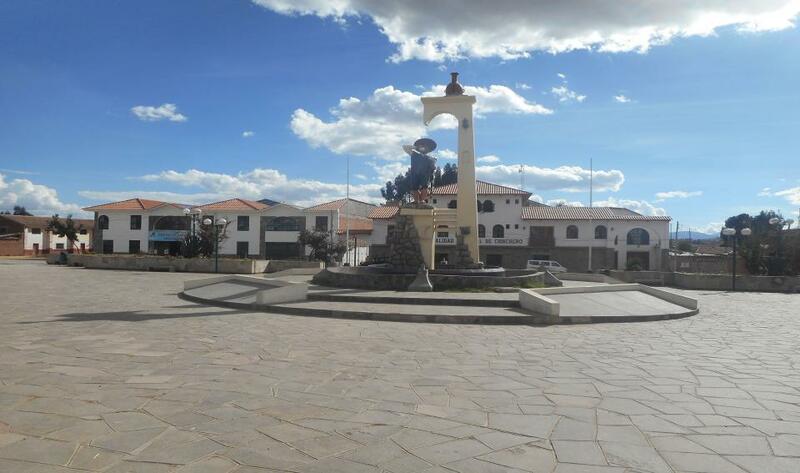 CHINCHERO : Our firs spot is in Chinchero, located at 30km from Cusco, with an altitude of 3780m/12401f, the geography is an Andean high plateau, chill in the morning and after the sunset. 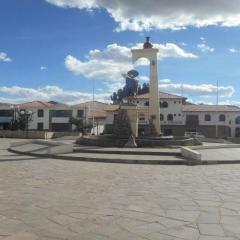 Chinchero has a rich monumental inheritance and it is one of the few places in Cusco that possess an evident Incan urbane design. Here we will visit part of the archeological place and a very nice colonial church, besides the traditional market. MARAS : After that we go toward the town of Maras. From this point it´s possible to appreciate the mountain range of Vilcanota with glaciers and snow, for example: “El Chikon” (5530m/18143f), “La Veronica” (5682m/18641f). This town preserves colorful attraction from pre-Hispanic, colonial and republican periods. In the streets of the town are very remarkable the colonial gates, where on the lintels are engraved native nobiliary shields from the XVII & XVIII centuries. 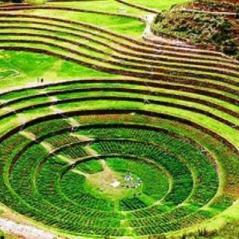 MORAY :Located at 53km from Cusco with an altitude of 3385m/11105f, about 7 km southwest of Maras. Moray is a unique Archaeological place in all the region because the terraces with circular concentric shapes. It calls the attention the changes of temperatures in each terrace. It was probably an important center for domestication, acclimation of different wild species of vegetables, adapted for human consume. 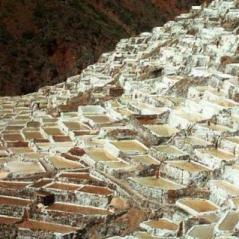 SALINERAS : Finally we will visit the Salt Ponds of Maras. They are more than 3500 ponds with salty water, exploited since Inca, colonial times and it is still being exploited by the locals. And every month they harvest to process it for the consume of the region. Private service : Hotel pick up and drop off. Group service : Hotel pick up and drop off the main square.